To enhance the better interaction in between of institution and industry is very much essential for the Today’s world, and it makes a good platform for showcasing best practice, latest technological advancements and their implementation and impact on the industry. The main objective of interaction between of industry and institute is to improve the quality technical education adequately to meet the needs of the industry and economy. Industry Institute Interaction continuously supplied input to better teaching-learning processes, create awareness among the students about the environment of industry, provide real practical knowledge to students and provide self confidence for students to become an entrepreneur. The above can be achieved by providing the very good bridge between industry and the academic institute and to promote the good Institute-Industry Interaction for our institute, following schemes have been undertaken. Providing industrial training and other inputs to teaching-learning processes so as to develop awareness about the job functions in the industry among students. 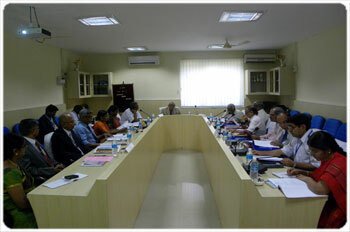 Arranging visits for both faculty/students to various industries. Organizing workshops, seminars by Industry Experts. Practicing engineers taking up part-time M.Tech/PhD programme at institute. Projects/dissertation work in industries under joint guidance of the faculty and experts from industry.